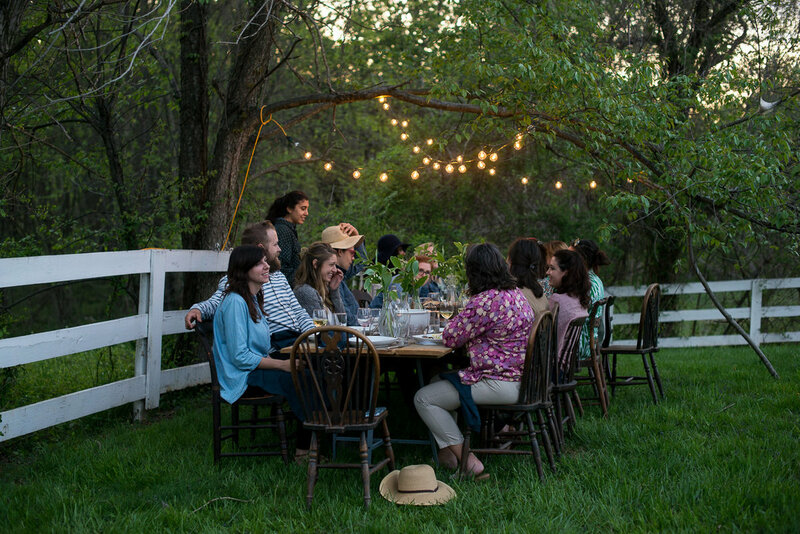 A Daily Gathering, an ongoing series of seasonal dinners, workshops and creative retreats, was founded in 2014 by Rebecca Gallop, mama to three little ones, wife, blogger, and someone who loves to bring people together. 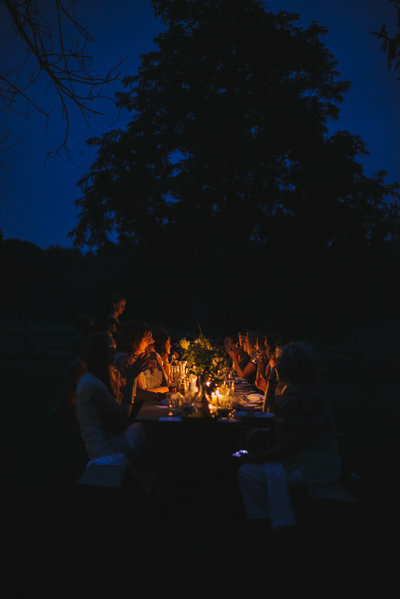 At A Daily Gathering, we believe that some of the most meaningful conversations are had, and the best friendships are made, around the table. That might be an elegantly set dining room table at Nana's over the holidays, a slab of wood in the middle of a field, a makeshift coffee table in a temporary apartment, an over-crowded kitchen table while making applesauce. It's definitely when our day slows down and we come together with the intention of communing, learning, and giving something of ourselves. 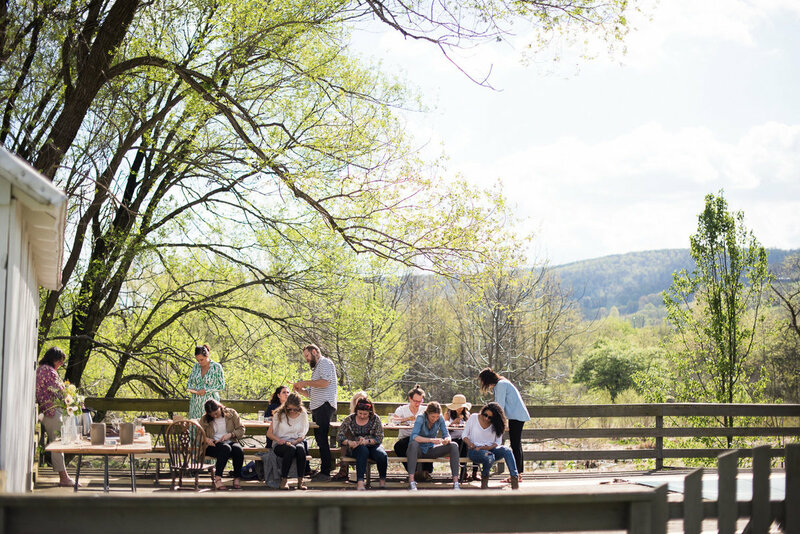 We'll gather with the seasons (sometimes more than once), whether it be for a lesson from a farmer, to forage fresh flowers, to make pies, or to hear from a local musician. And almost always to enjoy a homemade meal. Elegant, yet rustic. Elaborate, yet simple. As the summer comes to a close, join us at the stunning Ballenger Farm, a historic, 18th century colonial home on 12 gorgeous acres of farmland. 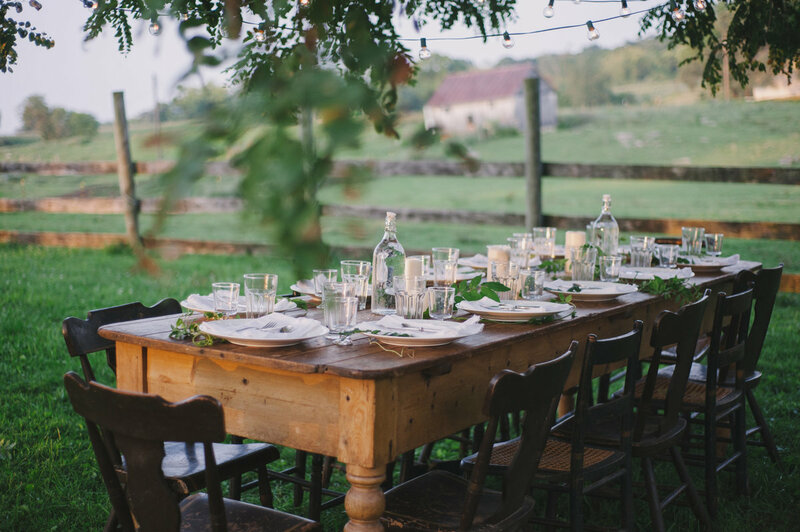 We will gather around a table brimming with the season’s harvest, a charcuterie spread of provincial delicacies to be passed around and enjoyed with good wine and even better conversation. 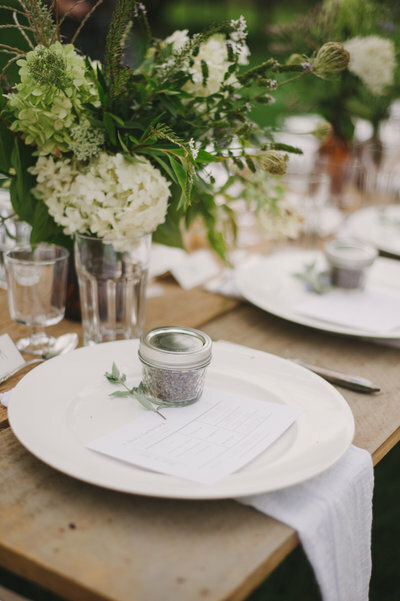 Reminiscent of a French countryside escape, this gathering will highlight the beautiful bounty of the season, the simplistic flavors and colors of summer. 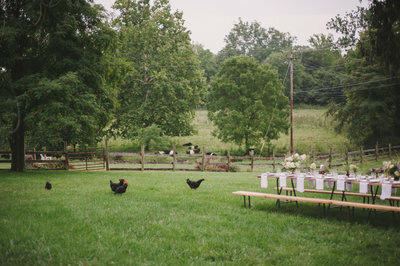 Rebecca Gallop is a stylist and event designer from Northern Virginia. 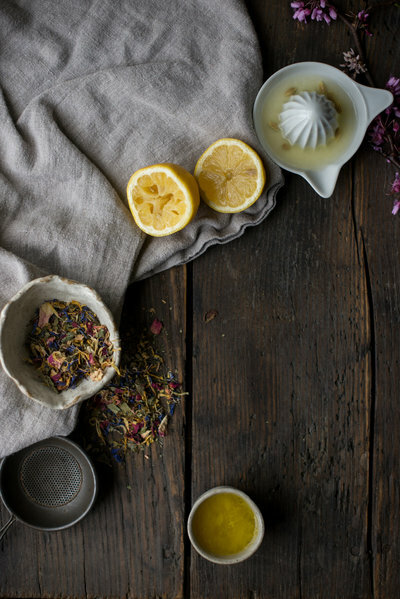 Her blog, A Daily Something, is where she shares little bits of her life, hands-on projects, recipes, creative collaborations, content created for and anything else beautiful! Rebecca has worked for Kinfolk Magazine, Coca-Cola, West Elm, Anthropologie, and more. She is inspired by nature and history, and loves to incorporate the two in her work. 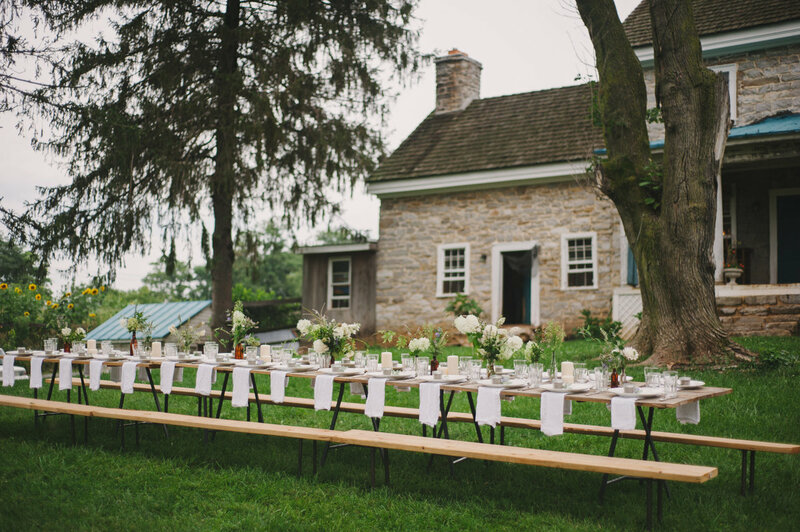 She enjoys bringing people together through intimate gatherings, and is busy filling her 1900s farmhouse, a place at which she hopes to bring friends and family together for years, with memories and found treasures. Rebecca has two little girls and a baby boy: Zoe (5), Naomi (3 1/2), and baby Jojo (11 months), and loves every second of being a wife and mom. William and Susan Brinson will be teaching a day-long styling & photography workshop. They are a commercial photography team, both graduated from Savannah College of Art and Design. After moving to NYC, Susan began her career in the advertising industry, while William worked in the photography industry. They decided to team up after working together for years behind the scenes and make their professional partnership official. They work as a team photographing advertising, cook books, interiors, editorial and social media projects. William and Susan also collaborate on House of Brinson, their personal blog. 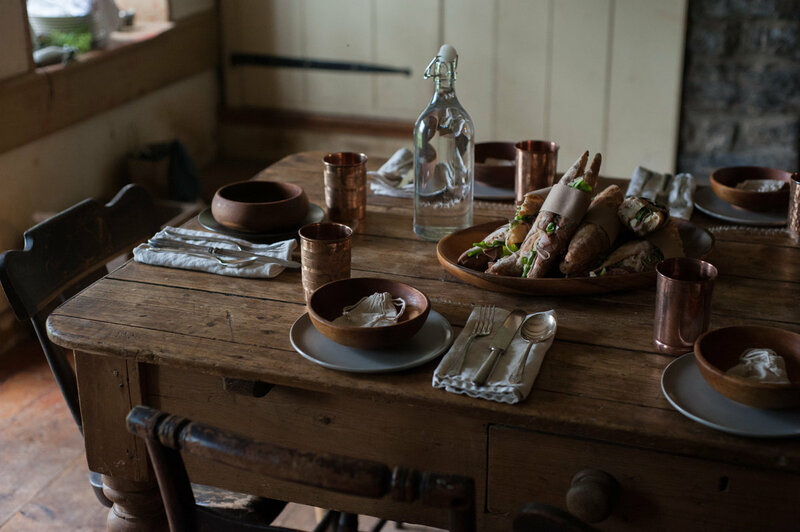 They explore food, photography and renovating their 1850s house. Photography clients include Create and Barrel, The New York Times Magazine, ED by Ellen and Chipotle. Anna Watson Carl is our weekend dinner chef and kitchen workshop instructor! 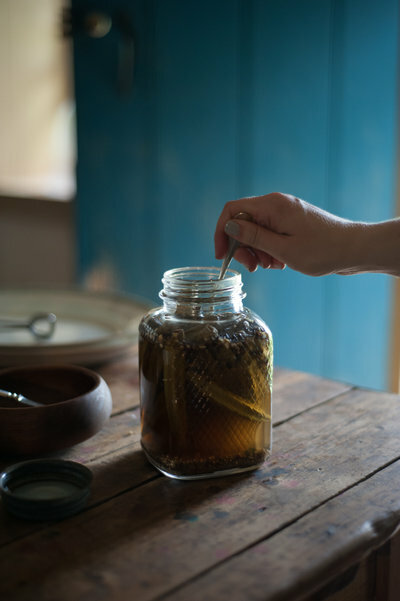 Anna is a Brooklyn-based food writer, stylist, and recipe developer, and the author of The Yellow Table: A Celebration of Everyday Gatherings (Sterling 2015). Her work has appeared in Food & Wine, Wall Street Journal, Saveur, Travel+Leisure, NYmag.com and Delish.com, among others. She is the blogger behind theyellowtable.com. Lauren Anderson & Rachel Bridgwood at Sweet Root Village, our photographers and floral experts! 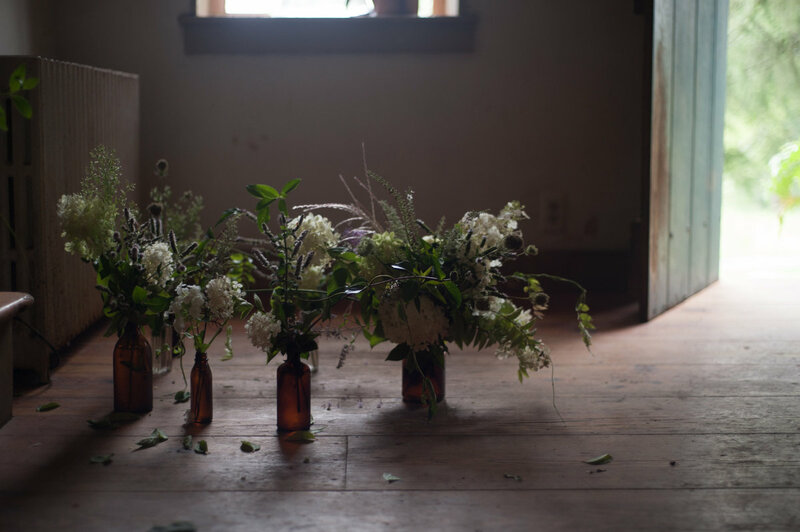 Sweet Root Village began over a glass of wine and dreams of a creative and wonderful future doing what Lauren & Rachel love most: photography and floral design. These two creative outlets merged their individual passions and have grown to be inseparable from who they are. They are based in Alexandria, VA, but travel worldwide. Lauren & Rachel spend half their days telling real stories through candid captures and the other half elbow deep in armfuls of flowers. Joy Bythrow at Mornings Like These, our weekend videographer! Joy hails from Northern Virginia. She is photographer, videographer and creator of the social movement centered around intentional living, #morningslikethese. 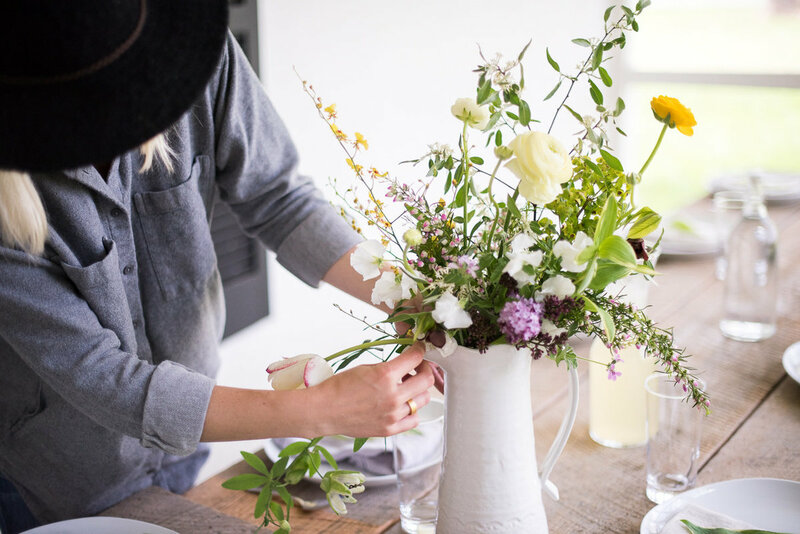 During the week, she works as a floral designer with some of her favorite talented women at Sweet Root Village. She has written and photographed for various publications and hopes to further the advancement of open dialogue surrounding anxiety, depression, and mental health. She swears by daily meditation and the power of unconditional love. Joy recently bought a home in the suburbs with her husband Peter and they look forward to starting a family. Talia and Hannah Olmstead are sisters and will be joining us for our time together, to help in the kitchen and prepare some of our meals. Talia is a self-teaching potter who owns a small business named The White Hearth. She lives in the beautiful VA countryside and usually can be found in her studio/room covered in clay splatters. Growing up, as the oldest daughter in a family of 14 children, Hannah was always in the kitchen with her Mom, and Hannah and her siblings would flock to the kitchen to catch a thick slice of bread slathered in butter - mmmm. 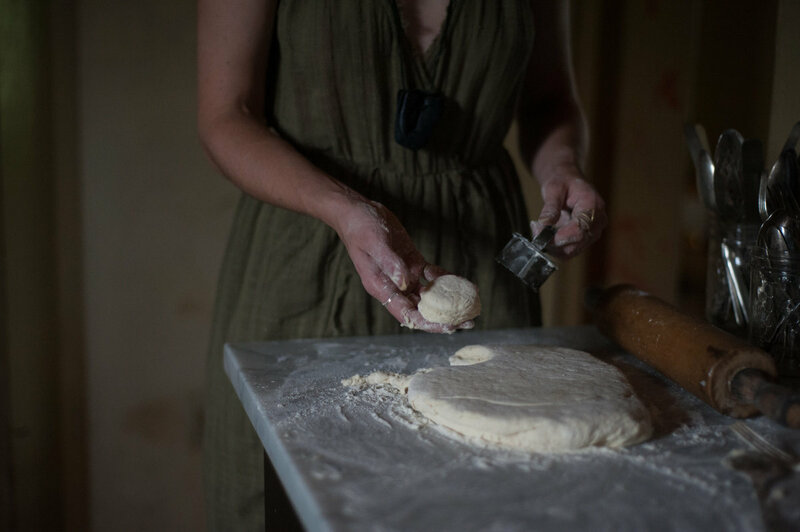 While Hannah currently works as an Executive Assistant for a Media Production company just outside of Washington D.C., cooking will always be one of her favorite things to do. "Everything one couLD dream it to be.... Rebecca and her entire team of partners created a truly magical evening." "From the concept, planning & prep, to the gifts and events, to your amazing props, killer table styling, and coordination. 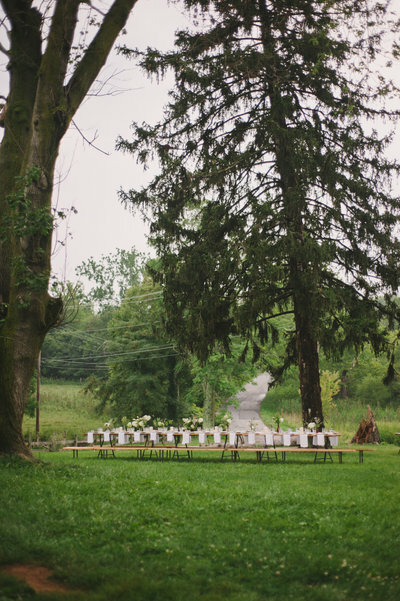 Everything was so thoughtful, mindful, and above all super creative & inspiring." "Your attention to detail and the way you tended to us all weekend was beyond compare." "you exceeded all expectations. This was by far the most comfortable stay and learning environment ever." "This is by far the BEST workshop I've ever attended and will measure all that follow to this one alone." For questions about gatherings, event sponsorships, upcoming events, and more, please inquire below. If you prefer, you can also email directly: hello@adailysomething.com. Click here to visit the Contact section and get in touch.